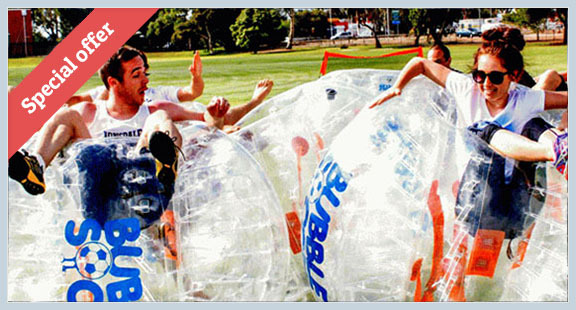 Bubble Soccer Suits / Bubble Football Suits / Bumper Ball On Sale | Let's Start Bubble Soccer Game Now ! What is the bubble soccer rule? What is the bubble ball size? Can we add any logo on it? Can we cancel the order? Bubble Soccer is a new sport that is prevalent in Europe. People wearing a ball called bubble suits pushing each other during soccer time. Bubble soccer became famous because of filmed in a TV show called Golden Gole. Originally, the bubble suits used in a soccer game was invented by Canadians in 2008. Bubble soccer now became most hot outdoor or indoor game in these country list below:Italy, Austria, Netherlands, Kazakhstan, Denmark, Germany, Norway, Canada, USA, Australia, Japan, Spain, Lebanon, Sweden etc. In Europe bubble soccer already become a popular competition game. For example in the Netherlands, there are 22 facilities have ability to organize the bubble soccer competitions..